Welcome to Holland Family Chiropractic! Located in the heart of Bucks County, the doctors and staff at Holland Family Chiropractic are dedicated to helping you achieve your wellness objectives -- combining skill and expertise that spans the entire chiropractic wellness spectrum. 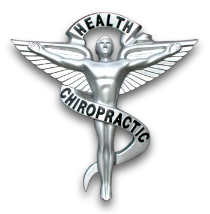 Dr. Don Doyle and Dr. Kristen Doyle are committed to helping you regain your health through chiropractic and other, natural, drug-free, alternative care methods. We will help to educate you about the benefits of chiropractic care and then partner with you to reach the level of wellness that you prefer. Patients seeking treatment at Holland Family Chiropractic are assured of receiving only the finest quality care through the use of modern chiropractic equipment and technology. We provide health options including chiropractic adjustments, massage, ultrasound, electrical stimulation, intersegmental traction, home exercise and stretching. We treat auto/work-related injuries and accept most major insurances as well as self-pay patients.We offer convenient morning, evening and weekend hours. Call 215-364-1939 to Schedule An Appointment We will do our best to accommodate your busy schedule. Schedule an appointment today! Dr. Kristen Doyle attended Sherman College of Straight Chiropractic. She graduated in 1997 and was awarded her degree with Highest Honors. She is licensed by the State of Pennsylvania and has received additional certification as a Pediatric Adjustor from the Chiropractic Pediatric Association. Dr. Don Doyle attended attended Life University in Atlanta, Georgia. He graduated with Highest Honors in 1997. He is licensed by the State of Pennsylvania and has been in private practice for over 10 years. He has extensive training with motor vehicle/work related injuries.